The All-In-One PLDT TelPad | Upgrade Your Landline Now! We have been a PLDT landline user for years now and after reading and exploring online about the convenience, benefits and advantages of upgrading to the PLDT Telpad, I am now determined to not only upgrade but to share my 1 of 1,001 reasons to upgrade from a landline to a PLDT Telpad. Primarily, I see the PLDT Telpad as an all-in-one deal. Managing multiple bills especially for internet connection and landline connection, I believe it is a major convenience to have bills consolidated into one. Usually, a household that has a landline subscrpition pays PHP 600++ or a little bit more in one month. If they are subscribed to myDSL they would either pay PHP 990 or P1299 a month for internet connection speeds of up to 384 kbps and up to 1 mbps. Or a household may be subscribed to an account with just purely internet connection at home and that would cost about PHP 999. Whatever combo a household has, it would cost them around PHP 1,600-1,800 or almost PHP 2,000 per month. But with the PLDT Telpad, for fast internet connection speed (up to 1.5mbps) a household will only have to pay PHP 1,849 per month. And that comes with an Android tablet or the PLDT Telpad for a one time cost of PHP 2,000 which can also be paid in 6-month installments. This is still cheaper than subscribing to a landline, broadband connection and buying an Android tablet. With PLDT Telpad, you get all-in-one! Not only is it convenient economically but it is also helpful in managing the bills as well. Usually for telecommunication bills, we check the calls that add on to the standard monthly billed amount. And we have to wait for the bill to arrive before we are able to check the details. But with a Telpad's unique feature which a regular landline does not have, particularly the call history, we can check and see past calls made that are out of the regular or ordinary. And since you would have the internet connection and landline use together, the best way to pay is online which can save you the hassle of traveling and waiting in line in the bank or the payment center. In addition to that, other members of the family can also enjoy web browsing and multimedia access using the PLDT Telpad which runs on the popular Android OS which gives the whole family access to thousands of free and paid game and educational Android apps. 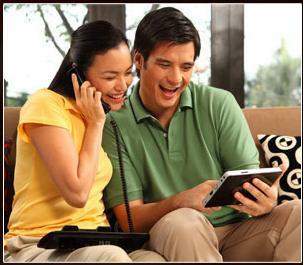 It will not only entertain but educate the whole family - that's truly all-in-one and it's PLDT Telpad. The PLDT Telpad's benefits and features are so exciting that they've inspired me to rewrite some lyrics of the song "Kaka" by a 90's band, Yano. I used the Garage Band app to recreated the music. I recorded everything - the guitar, bass guitar, drums, lead vocals, and back up vocals and did it in one night that I slept around 4am to finish it. Click play below and listen to the song or maybe sing along with me! LSS effect guaranteed! Iwas trapik, pila, hassle payment ay laging on time. May internet, calls at Android tablet na, saan ka pa?! This is my official entry to the PLDT Telpad Blogger's Challenge. 1) If you want to upgrade to PLDT Telpad, sign up by voting for my entry and you can get a 16gb Mirco SD Card by voting and signing up online. 2) View my entry, then click the button that says "I WANNA GET A TELPAD" beside my photo to register and vote. Please don't forget to indicate that you were referred by www.aspacio.net. 3) You can also vote by sharing my entry by clicking the Facebook/Twitter icons found at the right side of the "I WANNA GET A TELPAD" button! You can do this every after 4 hours. I've been reading a lot about PLDT TelPad. Looks like it is the 'in" thing nowadays. With the many benefits that the PLDT TelPad is offering, I want to have this, too! @peachkins, It is "in" and I hope ou family can upgrade soon. @Tetcha Figuerres, Go and get it. Sign up using my entry, please. @Josie we used to have that. What plan is 2mbps? i'm thinking of switching from my old provider to this new pldt internet promo but i'm afraid that it may have the same service, so i'm still thinking but i like the idea of having a telpad too. Hi po! May update na po ba about how to claim the prize? I won GCs din kasi. Thanks... And by the way, Congrats!